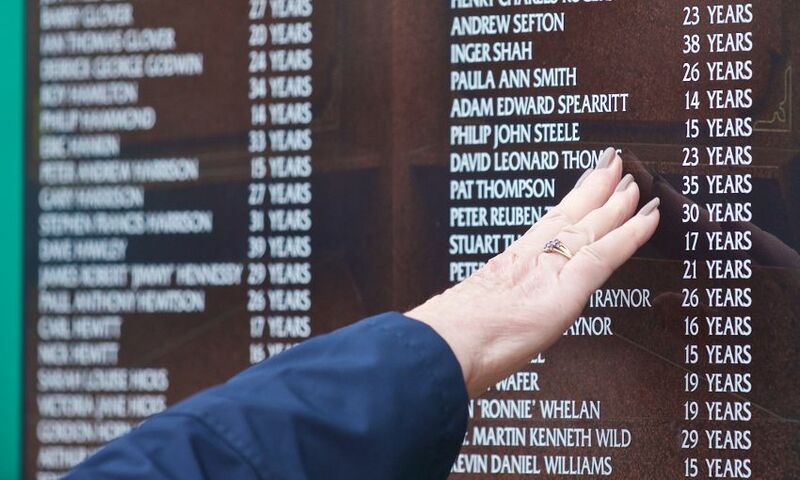 A 21-year-old who died at Hillsborough could have had a heartbeat when he was carried across the pitch on a hoarding, the inquests heard. The court, in Birchwood Park, Warrington, heard Paul Brady, from Crosby, had been carried from the terrace onto the pitch after the crush at the semi-final on April 15, 1989. The refrigeration engineer was given CPR by a St John Ambulance volunteer and off-duty GP Colin Flenley, before police constable Philip Foster took over chest compressions from Dr Flenley. Mr Foster had said he felt for a pulse and thought he felt one or two beats in Paul’s wrist. Paul was then carried across the pitch on a hoarding before being put in an ambulance and taken to hospital, where he was confirmed dead after being given advanced life support. Medical expert Dr Jasmeet Soar said Mr Foster may have been mistaken when he thought he felt a pulse. But, he said it was possible what he had felt was the brief return of Paul’s heartbeat, or that Paul had a weak heartbeat throughout CPR and it had become stronger. He added: “It appears that he felt the heartbeat, carried on CPR then they moved him onto the hoarding. The court heard 17-year-old Keith McGrath, from Wavertree, was given CPR on the pitch by police officers before being carried to the Spion Kop end and treated again. He was later taken to the gymnasium and confirmed dead at 4.06pm. Intensive care expert Professor Jerry Nolan was asked if there might be a chance Keith was still alive when he was seen on footage being treated at the Leppings Lane end after 3.23pm. He said: “I think that is a small but real possibility. Prof Nolan also said he could not be sure whether 19-year-old Paul Carlile, from Kirkby, was dead when he was given CPR behind the West Stand between 3.18pm and 3.30pm. The court heard he was treated by ambulance officer Kevin Early and two police officers, but evidence about assessments of Paul for a pulse and breathing was uncertain. Prof Nolan said: “I think we have a number of features here that would suggest that Paul was in cardiorespiratory arrest at that time, but there are certainly some inconsistencies in some of the witness statements, there is a lack of clarity in some cases. The court heard after CPR was stopped Paul was moved to an area with other casualties and was confirmed dead at 4.35pm. The jury was told North Wales 18-year-old John McBrien was also taken from the terrace to the back of the stand, where he was given CPR by fan Stuart Gray, the manager of a district health authority. But Dr Soar said a lack of evidence meant he could not say when John died, other than it was at some point before he was confirmed dead at 4.35pm. Steven Brown, a 25-year-old from Holt in North Wales, was shown on footage lying face down in a pile of casualties at the front of pen three at 3.17pm. Prof Nolan said he was fairly certain Steven was unconscious in the pen, because he was motionless. He said: “Certainly it is impossible to say with any certainty what his state is. The court heard Steven, whose daughter was born three months after his death, was later treated on the pitch before being carried to the gymnasium and confirmed dead. A medical expert said he could not explain a description of a Hillsborough victim’s eyes moving as his relative shouted his name. 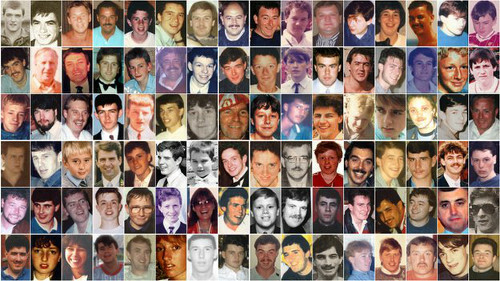 The inquests into the 96 deaths heard 18-year-old Gary Jones, from Maghull, was carried onto the pitch at 3.26pm on April 15, 1989. He was given CPR by two fire officers, as well as off-duty intensive care consultant Dr Andrew Byrne, but the court heard none of them described seeing any signs of life. Footage showed Gary’s cousin Paul Brennan, who had gone to the match with him, approaching the teenager as he was treated and crouching down next to him. Mr Brennan said Gary’s eyes were closed but he saw them move every time he shouted his name. Dr Soar said he was confident Gary was in cardiac arrest when he was taken to hospital in an ambulance at 3.39pm. The court heard his heart was restarted briefly on two occasions at hospital, after he was given advanced life support. Dr Soar said it was possible to restart a heart that had stopped, but if the heart had been in a good condition it would not have stopped again. He said: "So this tells me that this is a stage where his heart is already severely damaged and past the point of having a sustained circulation. A post-mortem for Gary recorded a number of bruises on his arms, which pathologists said could have been caused by him being gripped at a time where he had a circulation or his heart had only just stopped. The court heard Gary had been carried from pen three into pen two and was then shown on footage being taken onto the pitch through a gate. Forensic pathologist Dr Nat Cary said: “Obviously we have evidence here of quite a lot of manhandling. “We don’t quite know what happened before we see the AV footage, but he may well have been carried a significant distance within the pens before coming out of the gate.